We are pleased to offer replacement parts for x-ray film processors manufactured by Fischer Industries, Protec Medical, Carestream, Kodak, Konica, JPI, Alphatek, AFP & some AGFA models. We stock many of the Fischer and Protec replacement parts in our warehouse in Earth City, MO. Click HERE to contact FI Sales if you need any assistance in identifying a part needed to keep your Fischer or Protec processor running in tip-top condition. 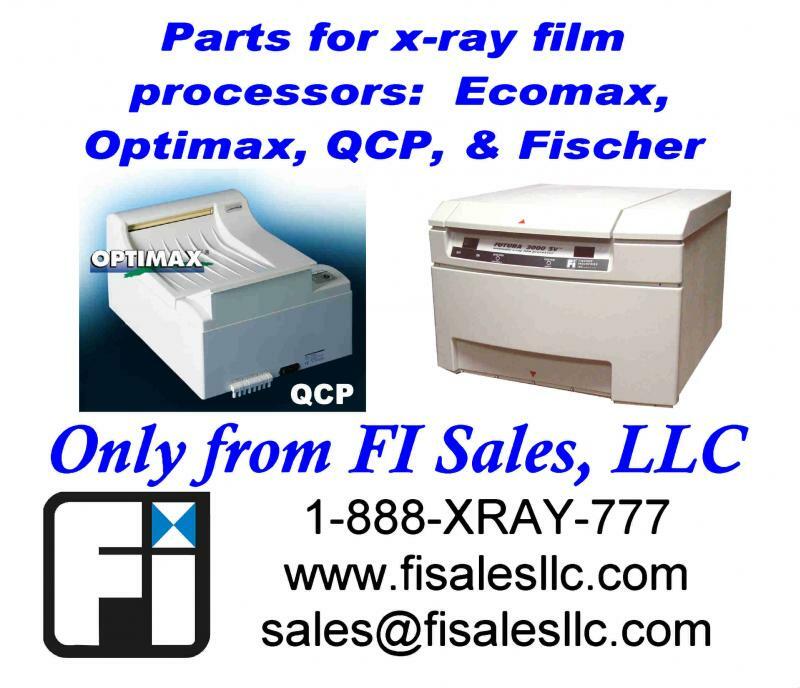 Click ﻿HERE for the Fischer Parts Reference List﻿, complete with list prices, for Fischer Industries x-ray film process,or parts. Please note that this list is updated as of 1/20/16, Rev 0. Please download a fresh copy for yourself. It has been over 9 years since Fischer closed their doors. As of February of 2016, we no longer offer phone tech support or dealer pricing for Fischer parts. We still offer Fischer parts, tech support documents (below), and easy ordering via credit card or PayPal through our Parts Store. 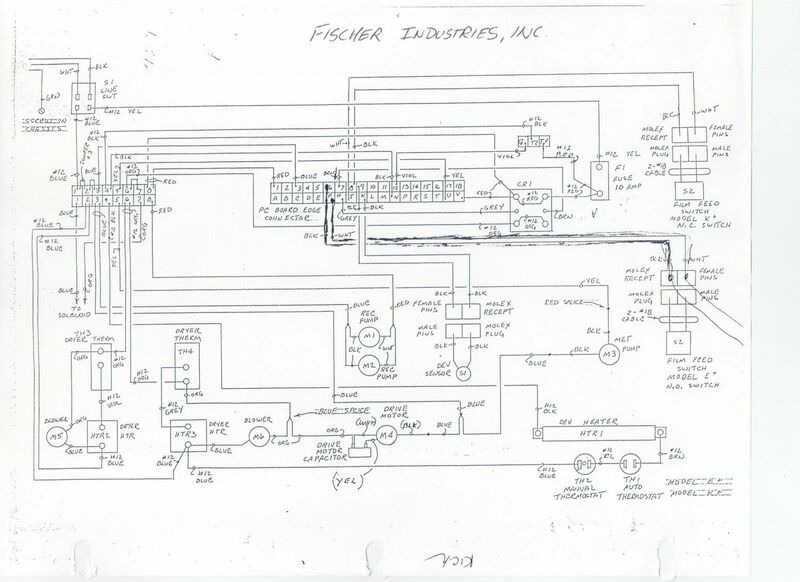 In this section, you will find some useful documents and schematics to aid in servicing Fischer brand processors. NOTE: Care must be taken when working with electricity. 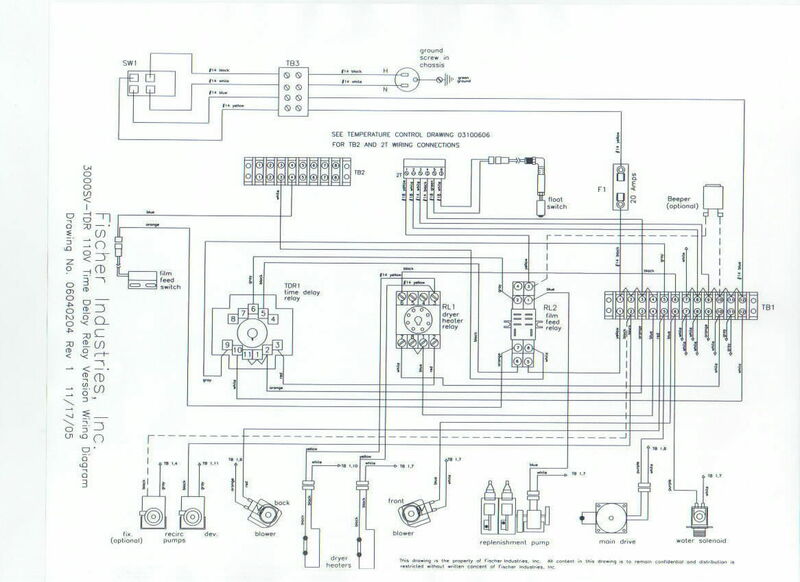 These wiring diagrams are provided for reference only and may not reflect how a specific processor was originally provided or modified through years of service. 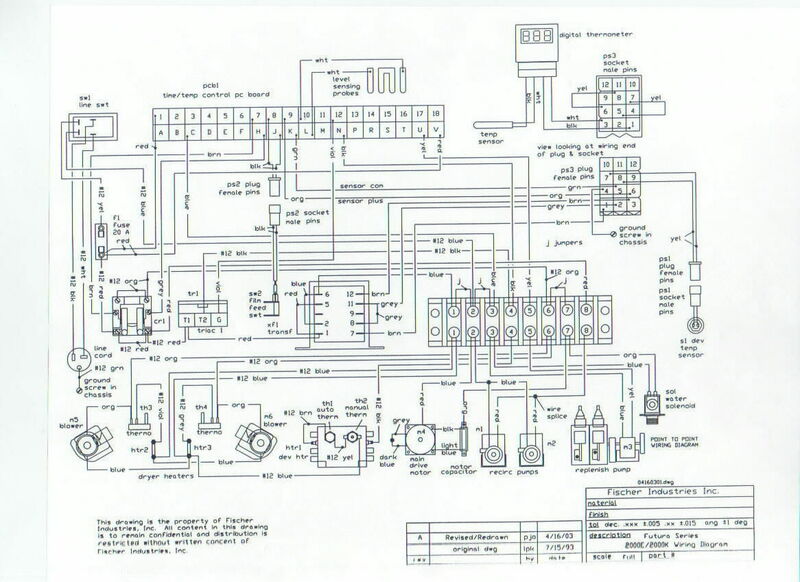 FI Sales is not responsible for damage or injury that may occur when using these wiring schematics. 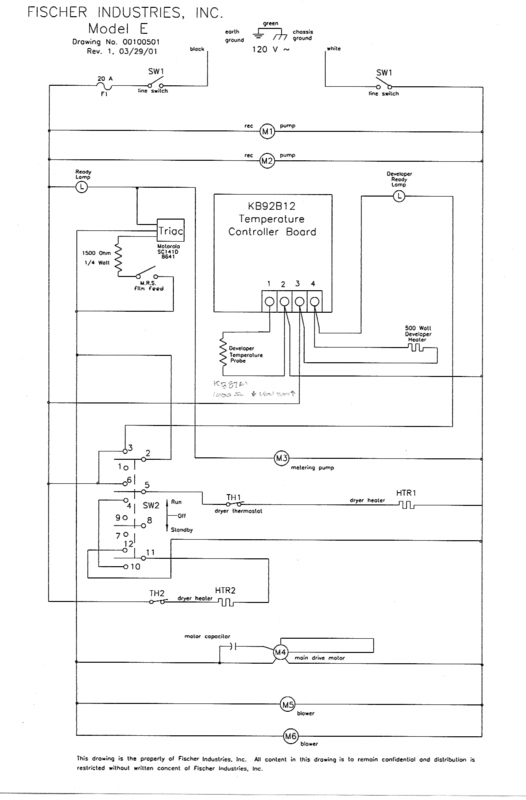 1) Click HERE for Classic E 110V wiring diagram with drop-in dryer heaters. 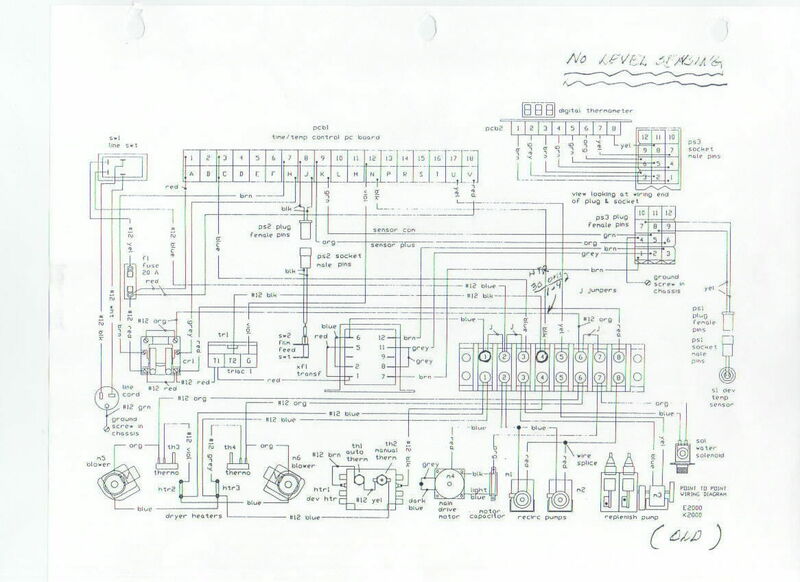 2) Click HERE for Classic E 110V wiring diagram with hairpin dryer heaters with thermostats. 3) Click HERE for 3000SV 110V wiring with a microprocessor. 4) Click HERE for 3000SV-TDR (Time Delay Relay Version) 110V wiring. 5) Click HERE for details on Classic E and 3000SV temperature control wiring. 6) Click HERE for 3000S/ST (DI-60 & DI-110) and 4000M/MT (DI-140 & DI-220) 110V wiring diagram with a microprocessor. 7) Click HERE for 3000S/ST (DI-60 & DI-110) and 4000M/MT (DI-140 & DI-220) 110V wiring diagram with a TDR (Time Delay Relay). Now, time to head back before the turn of the century for some of these models. 11) Click HERE for details on Model E wiring. The documents below address some of the most common tech support issues. 12) Click HERE for a Replenishment Troubleshooting Guide. 13) Click HERE for instructions on how to troubleshoot the developer temperature control system used on the 3000SV and Classic E. This covers the KB92B12A and ME85S2 boards. 14) Click HERE for instructions on how to troubleshoot the developer temperature control system used on the 3000S, 3000ST, 4000M, and 4000MT. This covers the KL85B10 PID temperature controller and ME85B20 Solid State Relay. 15) Click HERE for instructions on how to program the Cal 32E PID temperature controller used on 3000S, 3000ST, 4000M, and 4000MT models. 16) Click HERE for instructions on how to replace the KB92B12A temperature control board used in the Classic E and 3000SV. 17) Click HERE for instructions on how to replace a KL85B10 PID Temperature Controller with a KB92B12A Developer Temperature Control Board to save 50% cost. The documents below are some of the most commonly requested Install and Operating Manuals. Click HERE for the Protec OPTIMAX user manual with detailed parts list. Please note the Protec OPTIMAX was sold as the Summit QCP from 2000-2006 and the parts are all identical and interchangeable. The same applies to the Kodak MXP 104. Click HERE for the Protec Ecomax user manual with detailed parts list. Use for Protec Optimax, Protec Ecomax, Summit QCP, Kodak MXP 104, Carestream 101, Alphatek AX200 and JPI JP33 roller transport racks. Click ﻿﻿﻿HERE for the Protec Parts Reference Price List﻿. This is updated as of 9/1/17, Rev 1. Dealers must have an account in good standing with no past due invoices to place parts orders or receive tech support by phone. Remember, any part shown for the Protec Optimax will also work in the Summit QCP, Kodak MXP 104, and Carestream 100. Many of the JPI JP33 roller transport rack parts can also be replaced using Protec OPTIMAX parts. We also can offer parts for the 220V COMPACT 2 from Protec and the Carestream Kodak MXP 2000. Alphatek AX200 parts can be replaced with quality Optimax parts from Protec? That's right, since the Alphatek AX200 is a direct copy, made in India, of the Protec Optimax and Summit QCP, quality Protec parts can be used to replace some﻿ failed Alphatek AX200 parts. Just have the Alphatek part number? Click HERE for an Alphatek to FI Sales Parts Reference List. Click HERE for the No Plumbing Kit written instructions for use with the OPTIMAX. Click HERE to watch the YouTube No Plumbing Kit video showing how to add the No Plumbing Kit to the ECOMAX. Click HERE for the No Plumbing Kit written instructions for use with the ECOMAX. Click HERE to view ECOMAX installation tips. We can supply parts for Kodak and Konica x-ray film processors world-wide, 110V and 220V versions. Email us your requirements.